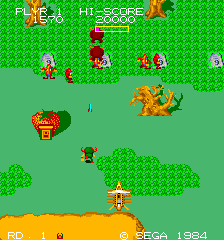 Mister Viking © 1984 Sega. Become a fearless Viking warrior in search of a missing treasure. Face a fury of enemy obstacles in a barbaric battle for bonus points!